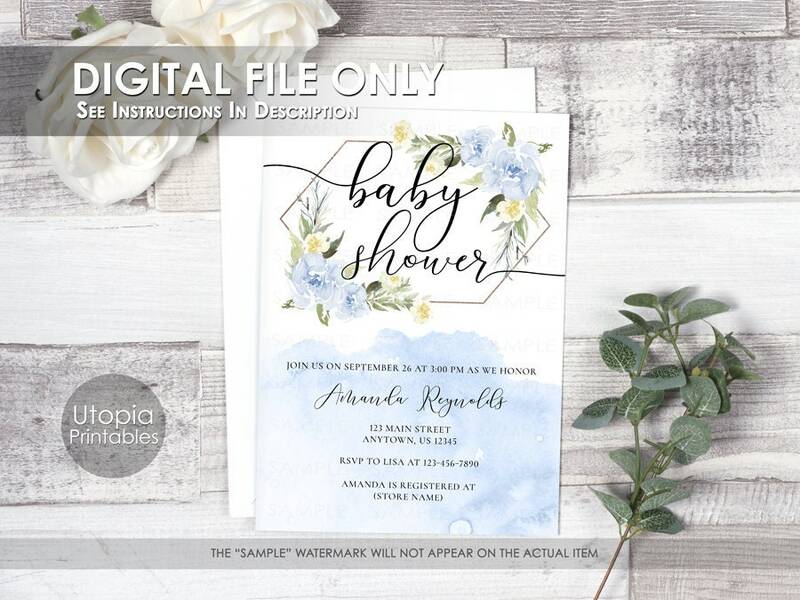 5x7 printable digital blue and yellow baby shower invitation with an abstract watercolor wash and flowers. I will customize your invitation using the information you send me as outlined further down in the CUSTOMIZATION INSTRUCTIONS section. This is a digital invitation only. No physical product will be shipped to you.